I wrote here last week that I was ambivalent as to whether Eric Shinseki should lose his job as Secretary of Veterans Affairs over the scandal involving VA hospitals. My reluctance owed not to any doubts about the gravity of the scandal — it’s utterly horrible — but to a long-held belief that firings should be targeted at the person most directly responsible for error. My feeling was that only if Shinseki either (A) was that person or (B) had knowingly enabled that person, he wasn’t necessarily the right person to get the axe. And, as I noted last week, it seems clear to me that the real problem at the VA has a lot more to do with the structure of the institution and the policies it employs than the management (though it’s utterly plausible that Shinseki wasn’t the right guy to address those deeper issues). It’s all moot now, of course, as Shinseki’s resignation was announced this morning. This was probably for the best. If anything, I came to lean more towards thinking his departure was the right thing over the last week — not because of the underlying scandal but because Shinseki’s reaction to this outrage seemed muted almost to the point of drowsiness. It’s nice to see someone in the Obama Administration finally be held responsible for failures (no doubt Kathleen Sebelius’s management of the ObamaCare rollout had a lot to do with her departure, but she was still allowed to leave on her own terms). That said, however, no one should be sanguine about what lies ahead. Sacrificing Shinseki to the media gods may have bought the Obama Administration some time, but it doesn’t solve any of the underlying structural problems at the VA.
One of the reasons that the VA scandal has had so much traction is that it’s utterly non-partisan. Everyone believes government should be doing everything in its power to assist those who’ve worn the uniform of their country. With that in mind, this would be a good time for President Obama to do something truly presidential and look for the best man for the job regardless of political affiliations. What he needs is a proven fixer, someone who can turn around a major organization and root out inefficiencies and rot throughout the system; someone who will do the job as a service to the country rather than as a stepping stone to greater visibility; someone who’ll take the charge seriously even after the story has dropped off the front pages. There’s a guy out there who’s a perfect fit for this job. Barack Obama ran against him in 2012. Copyright infringement constitutes a multi-billion dollar problem, but free market cooperation in the form of the Copyright Alert System (CAS) has enjoyed a remarkably successful first year. One year ago, a broad coalition of private enterprises, such as entertainment and telecommunications companies, launched CAS to proactively inform consumers of infringing activity detected involving their account. That approach derived from the knowledge that large majorities of consumers (a) agree that it is never appropriate to engage in copyright infringement, (b) are often unaware as to which online sources are illegal, and (c) stated that they would immediately discontinue participating in copyright infringement immediately if they were alerted to it. With that in mind, here’s how CAS works. It involves three levels of alerts – the educational stage, the acknowledgement stage and the mitigation stage – with each stage including two alerts before moving to the next stage. The educational stage informs users that infringing activity has occurred with their account, identifies the specific content at issue, sets forth steps to avoid further infringement and provides alternative legal sources for the content. Then, if the infringement continues on that account, the acknowledgement stage involves up to two alerts requiring the user to acknowledge that they’ve received the alert (but does not require the user to admit or deny wrongdoing). Finally, if the infringement continues, the user receives up to two mitigation alerts, which can involve temporary reduction in Internet speeds, temporary downgrades in Internet service tier or redirection to a landing page for a set period of time until the account holder has reviewed copyright education materials. The system’s success is further illustrated by the fact that very few – just 0.27% – of the alerts eligible for review were actually challenged. And among that small number of actual challenges, some 77% were upheld as valid. Simply put, after one year CAS has established a record of success based upon a model of market cooperation. That obviously does not mean that continued and even additional law enforcement avenues to combat copyright infringement and online piracy aren’t necessary. But it does provide encouraging news in this important ongoing concern. Ellis: Is Indiana Governor Mike Pence Falling into ObamaCare’s Medicaid Trap? President Obama’s Federal Communications Commission (FCC), bowing to the demands of liberal special interests, is actually considering a scheme to regulate the Internet like a public utility. And if they get their way, this egregious government overreach into the broadband economy will almost certainly kill job creation, harm consumers and bring a significant amount of investment and innovation to a screeching halt. Simply put, the federal government micromanaging the Internet under Title II of the Telecommunications Act is a dangerous scheme, one that Congress must halt and the FCC must abandon. That’s why the Center for Individual Freedom this week activated StopNetRegulation.org, a project dedicated to ensuring the Internet remains free from heavy-handed government regulations and stopping this latest power grab by the Obama administration. Join the fight by visiting StopNetRegulation.org. While there, use the web form to quickly and easily contact your Members of Congress and the FCC. In this week’s Freedom Minute, CFIF’s Renee Giachino discusses the latest push by Congressional Democrats to amend the U.S. Constitution to grant Congress the power to further stifle political speech. In an interview with CFIF, Marita Noon, Executive Director of Energy Makes America Great, discusses the latest dubious efforts by extreme environmentalists to keep private property owners from selling, developing or using their land. An article at the website Accounting Today starts with the headline, “ObamaCare Weighing Less on Hiring Plans.” In it, the author analyzes new poll results asking accountants who work with small businesses how the health law is impacting their hiring practices. Last year, an identical poll found that 66 percent of small businesses said ObamaCare made it less likely they would hire new employees. This year’s survey reported a drop to 54 percent. Imagine the euphoria if ObamaCare wasn’t a factor at all. That would allow 54 percent of small businesses to base hiring decisions on opportunities to win market share. Instead, a stout majority are holding tight on their headcount because they can’t afford ObamaCare’s increased compliance costs. Going forward, we’re likely to see more poll numbers and reporting like this that makes it seem like ObamaCare’s influence on economic growth is diminishing, when in fact businesses have already absorbed the initial hit that comes with ObamaCare, and have fundamentally changed their operations. There is a ‘new normal’ of less full-time jobs, more part-timers and an increasing reliance on independent contractors. Dramatic year-to-year changes are likely to diminish over time as employers factor in ObamaCare’s increased labor costs and staff accordingly. The real story here isn’t how many businesses will hire less people because of ObamaCare; it is how many jobs are not being created because of ObamaCare. CFIF’s Renee Giachino discusses the national scandal engulfing the Veterans Administration (“VA”), the systemic dysfunction that plagues the VA, and the need for meaningful and comprehensive reform of a system that has failed to adequately serve our veterans and their families with the respect and service they deserve. WASHINGTON — The Internal Revenue Service said Thursday it would start over on its controversial rule limiting the political activity of certain tax-exempt groups, propose a new rule that would take into account a backlash of opposition. The announcement made official what IRS Commissioner John Koskinen told USA TODAY last month — that the IRS would put out a new proposal and seek more public comments before overturning a 57-year-old precedent allowing certain tax-exempt groups to engage in limited amounts of political activity. Great news, though, alas, it sounds like the IRS will come back for another bite at this apple. Still, this buys time for those who believe that this entire endeavor is a misbegotten exercise in letting government narrow the parameters of political engagement. There are few threats to freedom as great as allowing those in power to control what those out of power — which may be liberals one year and conservatives the next —can do or say about politics. Any truly ‘liberal’ society gives the opposition room to flower. May the IRS never complete this exercise. The announcement made official what IRS Commissioner John Koskinen told USA TODAY last month — that the IRS would put out a new proposal and seek more public comments before overturning a 57-year-old precedent allowing certain tax-exempt groups to engage in limited amounts of political activityWASHINGTON — The Internal Revenue Service said Thursday it would start over on its controversial rule limiting the political activity of certain tax-exempt groups, propose a new rule that would take into account a backlash of opposition. 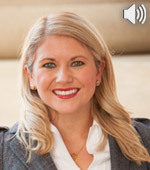 In an interview with CFIF, Caitlin Poling, Director of Government Relations at the Foreign Policy Initiative, discusses terrorism in Africa, the kidnapping situation in Nigeria and why in 2012 then Secretary of State Hillary Clinton decided Boko Haram did not warrant a foreign terrorist organization designation. The retired general has for years been a particular hero to Obama’s supporters on the left for his conflict with the George W. Bush administration during the run-up to the war in Iraq. In early 2003, as the U.S. was planning the invasion, Shinseki angered his superiors in the Pentagon and White House by saying he believed victory and post-war stabilization in Iraq would require far more U.S. troops than President Bush and Defense Secretary Donald Rumsfeld were planning to deploy. “Something on the order of several hundred thousand soldiers are probably, you know, a figure that would be required,” Shinseki told Congress in February 2003. By , Shinseki had become a legend to anti-war liberals, and all the more so by December 2008, when President-Elect Obama was choosing his cabinet. “By tapping Mr. Shinseki to run the VA, [Obama] has provided a sop to the left,” wrote the lefty blogger Steve Kornacki, now an MSNBC personality, when Shinseki’s appointment was announced. A poster at the leftist website DailyKos had a shorter reaction: “Hallelujah!” Even though Shinseki was not chosen for the military policy position some had hoped for him, the reaction to his appointment showed the enduring gratitude of many on the anti-war left. This is, of course, an indefensible rationale for keeping someone in a position where they’re failing. Shinseki should be judged for present performance, not past positions. That said, I’m ambivalent on the question of whether the VA Secretary should be given his walking papers. 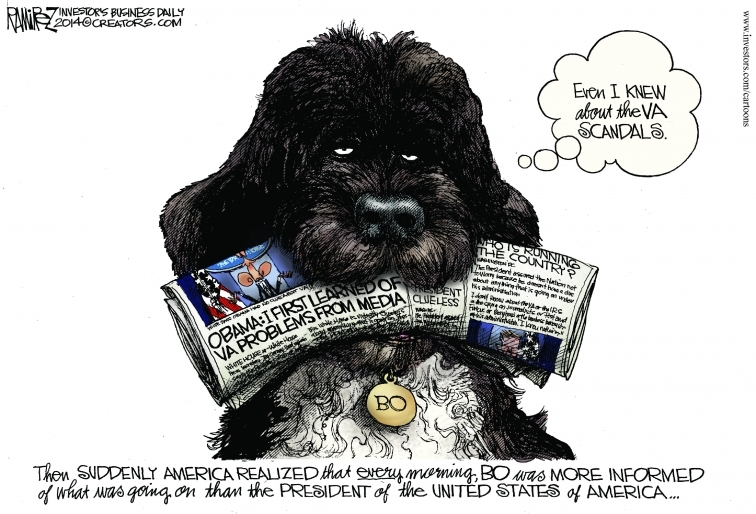 President Obama, like President Bush before him, is not inclined to reflexively fire people because of bad press. That can be a good instinct if it means you’re more concerned with actually solving problems than just creating the image of responsiveness for the press. But therein lies the problem. Who serves as Secretary of Veterans Affairs is a lot less important than the makeup of the system they’re presiding over. Whether it’s Shinseki or someone else, they’ll still be responsible for managing a gargantuan single-payer health care bureaucracy. It’s a similar dynamic to the Department of Health and Human Services — don’t expect much to change because Kathleen Seblius is gone. The underlying policies and infrastructure remain the same. Whoever sits behind the desk is little more than a captive to the administrative behemoth. Should Shinseki get the boot? I don’t know and I’m not sure it makes much of a difference. What would really help would be upending the entire process — for example, giving veterans vouchers for their health care, which would allow the federal government to still finance their treatment without actually providing it. John McCain recently suggested that step (as did Mitt Romney in 2012 — when he was pilloried for it). At the time, it was decried as inhumane. Anyone who wants to know what real inhumanity looks like ought to visit the VA in Phoenix. Nevada Closes Its ObamaCare Exchange, Hawaii Next? Fed up with a dysfunctional health exchange operated by Xerox, Nevada officials voted to terminate the contract and transfer responsibility to the federal government. Apparently, spending $75 million to enroll about one-fourth the number of people initially projected convinced Nevada to throw in the towel. Nevada joins Oregon, Maryland and Massachusetts as states who have scrapped their original state-based exchanges because of exceedingly poor performance. The next domino to fall may be Hawaii, whose ObamaCare exchange – the Hawaii Health Connector – has registered just 8,500 people but needs at least 150,000 enrollees to ensure the program is self-sustaining. Not surprisingly, Hawaiian officials are already being pressured to shut it down. Amid all the legitimate privacy concerns with ObamaCare’s regulatory apparatus – in particular the proposed data hub that allows agencies like the IRS, Social Security Administration and HHS to share reams of information about individual citizens with each other, states and insurance companies – it’s been taken for granted that the liberals in charge of this grand social experiment at least had the technical competency to build the necessary infrastructure. The Post says the most frequent inconsistency is a discrepancy in the income reported on an ObamaCare application and the income reported to the IRS. This type of inconsistency is present on between 1.1 million and 1.5 million applications. To their credit, citizens have sent in “about 650,000 pieces of ‘proof’” to justify their asserted income. Because of the level of detail required when filling out the 20-plus page ObamaCare application, it’s no surprise many people mistakenly enter something wrong; especially when considering that most people get help on their taxes from either a certified professional or software that easily finds all the right deductions. Neither option was readily available to the vast majority of ObamaCare applicants. ObamaCare subsidies are the essential ingredient for claiming that ObamaCare insurance is “affordable” since they at least partially offset the increased cost of coverage. Failing to launch a website capable of verifying income claims that determine whether a person qualifies for subsidies is inexcusable. If there is any silver lining to this latest blunder it’s that Serco – the federal contractor accused last week of billing HHS $1 billion while hiring employees literally to do nothing – is now on the hook for correcting the inconsistencies. Small comfort though, since apparently Serco gets paid based on the number of employees it hires rather than the efficiency of its work product. Requiring the company to sort paper applications by hand seems almost too awful to be true. “According to a new report from S&P Capital IQ, 90 percent of American workers who receive health insurance from large companies will instead get coverage through ObamaCare’s exchanges by 2020,” writes Sally Pipes of the Pacific Research Institute. Large companies are those that employ 10,000 workers or more. They cover 59 percent of the American workforce. ObamaCare’s escalating barrage of mandates, fees and fines are estimated to extract “about $163 million to $200 million in additional cost per employer – or $4,800 to $5,900 per employee,” says Pipes. Compared to the $2,000 per employee fine for not offering health insurance, large employers will in effect be forced to dump workers on ObamaCare exchanges to stay profitable. There are many aspects of ObamaCare that defy easy explanation, but this much is clear – Forcing large employers who want to provide health insurance to their employees to pay more than twice the price of compliance just doesn’t pencil. The only financially sensible thing to do – from a company’s perspective – is to shove workers onto taxpayer-funded exchanges. That may keep the firm afloat, but it will only add to the federal government’s fiscal problems. Remember that “War on Women” meme that Democrats keep throwing at Republicans? Well, it turns out ObamaCare’s employer mandate – by requiring that businesses with 50 or more employees purchase medical insurance for everyone that works 30 hours or more – incentivizes shifting to a part-time labor force. ObamaCare makes it harder for single working mothers to support their families. How’s that for a War on Women?